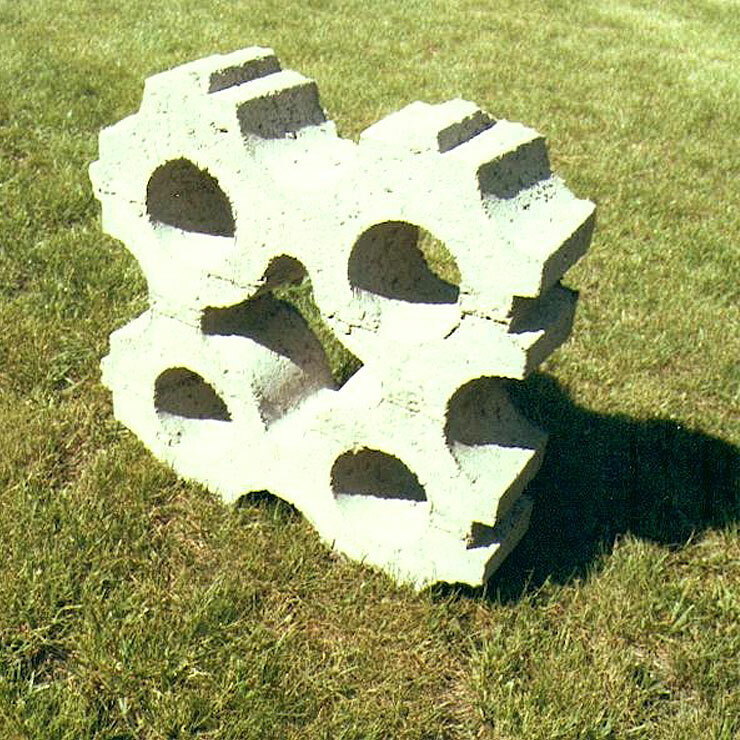 Grassblock was designed to overcome some of the difficulties associated with early pre-cast systems. A level upper surface provides a safer walking platform and a lower level of traffic vibration than is often associated with studded blocks. The interconnecting lugs help to form a tight interaction with neighbouring blocks to limit movement. A further benefit comes from the continuous concrete surround to each soil pocket. This feature makes Grassblock ideal for slope protection works helping to prevent soil from being washed down the slope. Grassblock can be complemented by use of our dry-fix Grasskerb edge restraints; providing a low cost and visually sympathetic solution.